The love of one’s homeland is one of the most untapped and fertile sources for musical composition; a love that like any other is deeply personal and yet somehow universally relatable. 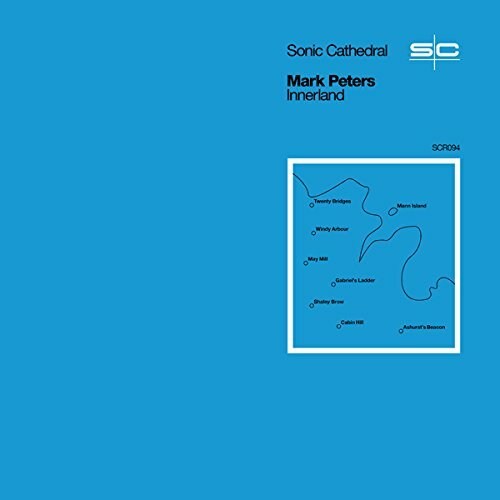 For Engineers founder and Ulrich Schnauss collaborator Mark Peters’ first solo album, eight Lancastrian beauty spots in his particular home patch have been immortalised – places that are secrets only understood by the people who have lived with them for long enough to know them intuitively. ‘Innerland’’s cover reinforces the topographical importance of these locations, even if the geography it depicts is fictional. This truly is Peters’ innerland, the meeting point of the bare facts of the natural world and his romantic longing for home. The music is ambient in nature, but closer to the organic, intricate palette of late Talk Talk or The Durutti Column than to an Eno study in minimalism. Tracks build momentum differently, with opener ‘Twenty Bridges’ featuring rippling, breathing guitar work that laps at the ear like a gust against a hilltop. ‘May Mill’, on the other hand, is a more frantic, blustery concoction with driving harmonica and synthetic beats that offers a sharp, biting contrast. It is undeniably solitary music; a ranging, rambling stroll through Peters’ memories of these places. Another writer from the same place would arrive at a much different finished piece on the same subject, such is the personal nature of one’s bond with their home. A ‘Beatles story’ style guide should be set up as a trip around these eight locations – only then could this album truly be embraced in the spirit with which it was conceived.